Suba Technology – A premier full-service contract manufacturing company that provides quality service at the cutting edge of technology. Specializes in affordable prototype, low-volume, high-mix PCB assembly, both thru-hole and SMT. Best prototype producers in Silicon Valley. We deliver less than 12 hours on full consignment. At Suba Technology, we offer the most innovative solutions and services to meet your needs in a manufacturing service company. Our highly skilled teams have the expertise required to manufacture the most demanding mix of products. As a manufacturer of finished product and sub-assemblies for Computer, Industrial, Medical, Communication and Consumer Electronics, we provide optimized solutions by using the latest technology. Suba Technology was founded by Mr. Rick Suba in 2001 with the vision to become the premier full service contract manufacturing in the United States. Now, the company has served hundreds of clients and exceedingly meet their expectations and needs. In the last 5 years, we invested in modern equipments and people to keep up with the demanding market. We doubled our team of key personnel to better serve our customers. We are a privately owned company with approximately 30,000 square feet facility located in Fremont, California. 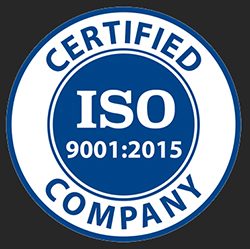 Suba Technology is an IPC Class II and Class III Compliant, RoHS Compliant, ISO 9001:2008 Certified, and IPC-610 trained work force.